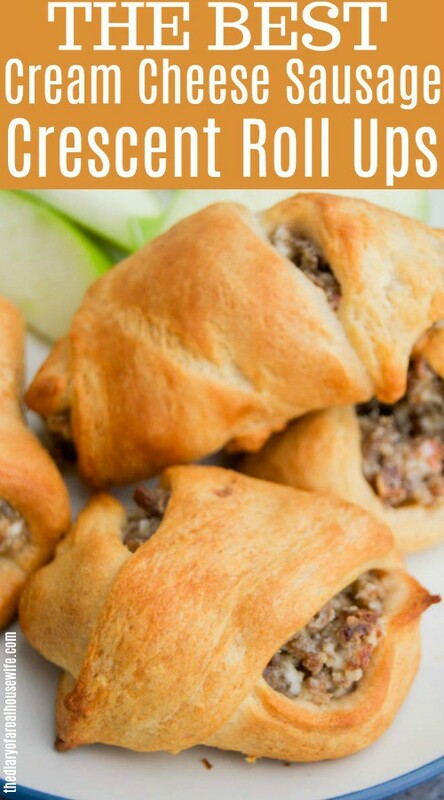 These Cream Cheese Sausage Crescent Roll Ups are so simple to make and one of my family’s favorite breakfast recipes. Bold sausage and cream cheese wrapped in a fluffy crescent roll. You know what they say, Breakfast is the most important meal of the day. I’ll admit it’s pretty easy to just do a bowl of cereal in the morning especially when we are in a hurry to get out the door. I try my best though to have a hot breakfast 4-5 times a week. If you want more hot breakfast ideas then check out my other favorite recipes the entire family loves next. Add cream cheese and cook until cream cheese is melted. 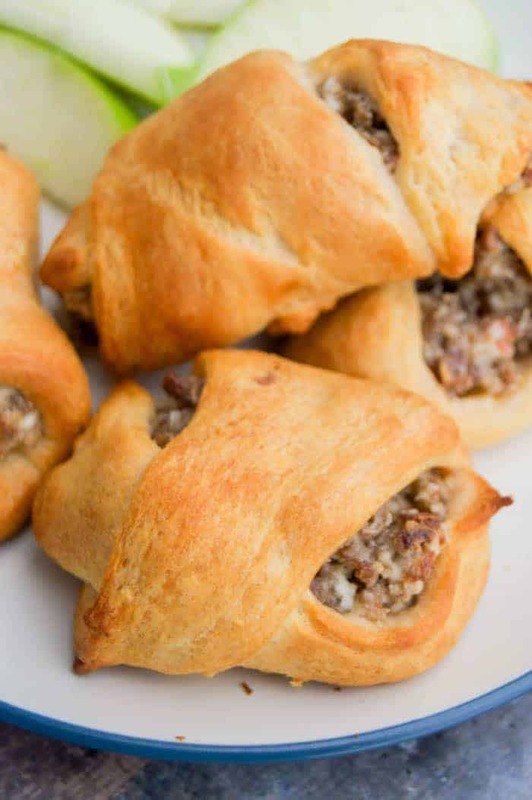 Roll out crescent rolls and place a spoon full of cooked sausage and cream cheese into each roll and roll it up. Place each roll onto a prepared baking sheet. Bake until cooked all the way though. For this recipe I gave a large gap in my baking time. Different brands will call for different oven temperatures and cooking time. Use my directions as a guide but pay attention to the instructions given on the package of crescent rolls that you buy. Since your sausage is cooked when you bake the only thing the oven does is cook the crescent rolls. I served mine with fruit and coffee for mama of course! The cream cheese really helped tame the bold sausage flavor so even my kids loved this breakfast recipe. 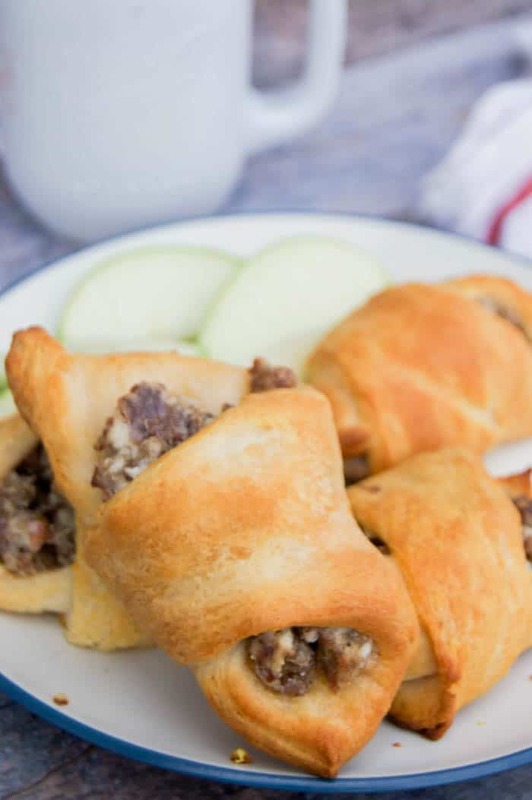 These Cream Cheese Sausage Crescent Roll Ups are so simple to make plus they make the perfect freezer breakfast. Make a double serving and freeze them for later. Once they are fully cooked allow them to cool completely. I then allowed them to all freeze on a baking sheet separate this way they don’t all freeze in a big clump. Once they are all frozen separate you can toss them in a big baggy and leave them in the freezer. Pull out one or two and heat them for 1-2 minutes in the microwave. 3 Ingredients Sausage Breakfast Bites: I love this simple recipe. It’s very similar to this one but backed different to make little breakfast bites. Cream Cheese Sausage Casserole: I love this casserole recipe. Another simple breakfast that the entire family is going to love. Sausage Egg Breakfast Braid: This breakfast is another easy one but it looks fancy and beautiful! We love serving it on Christmas morning! This easy breakfast recipe is made with three simple ingredients and a family favorite. Start cooking your sausage. Once cooked add cream cheese and mix together until cream cheese is melted. 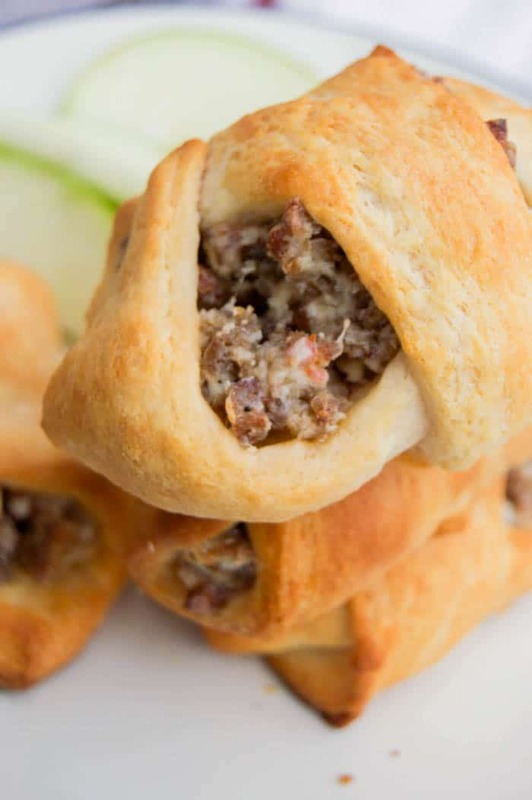 Roll out crescent rolls and place a spoon full of cooked sausage and cream cheese into each roll and roll it up. Place each roll onto a prepared baking sheet. Bake for 10-20 minutes (time will vary depending on the brand you use. See how long your crescents call for and use that temp and time). Your crescent rolls should be nice and golden brown and cooked all the way though. Oh no Brenda I am so sorry to hear that. The time and temp came from the package of crescent rolls I used. It may be different for different brands and I will make sure to add that into the directions. Thank you so much for letting me know. What kind of cream cheese and crescent rolls did you use? Hi Kayla, for this recipe I just used a store brand block of original cream cheese and also the store brand refrigerated crescent rolls. I’ve been making this for 40 years but I present it a little different. I take the crescent roll dough and divide the can of dough by center perforation then roll out dough into two oblong rectangles, making sure to pinch the perforations together in each rectangle. 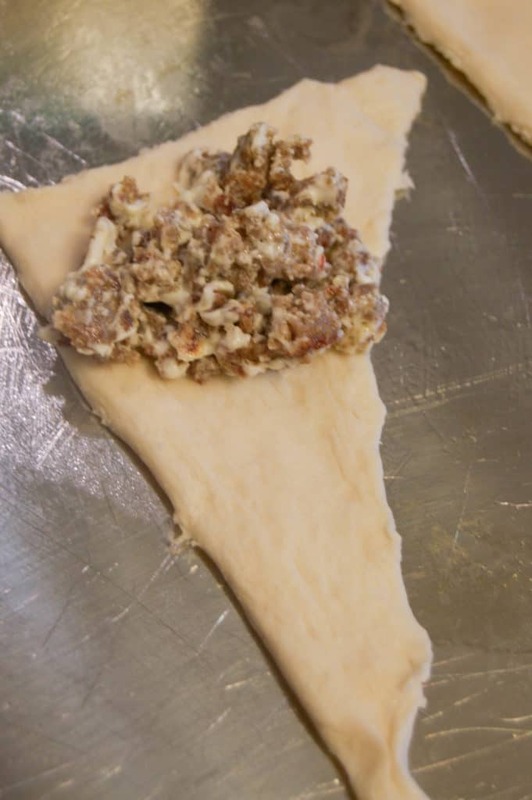 Then I put half the sausage mixture down the center of each rectangle of dough, bring the sides up and seal at top to make two long logs with the sausage mixture completely enclosed. I flatten the top slightly and shape the logs with my hands so they are even in width and height. Then I brush with egg whites and sprinkle with poppy seeds before baking. 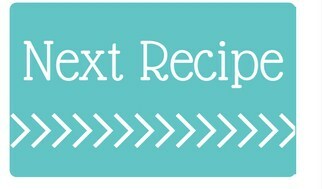 I do a lot of entertaining and this is the most requested recipe. So simple and delicious! I love that idea! Baking it with poppy seeds sounds amazing. Thanks so much for sharing Susie! So happy to hear that Bonnie!! This one is a favorite of mine!